Two hearts united on Saturday, September 29, 2018, at the civil war-era farm manor house, the Jacob Smith House, in Lacey, Washington. The happy couple were surrounded by family and friends. The bride’s family and friends flew in from Connecticut for the wedding celebration — joined by Matt’s family and friends from Washington. Their day couldn’t have been more perfect with delightful autumn skies and lots of love. Their nuptials started with a beautiful and romantic First Look pictures. Followed by their First Look kiss. So sweet! Amanda and Matt said their wedding vows under an arbor with rose petals. With just the right touch of color for the autumn leaves and trees; and, the historic Jacob Smith House for their backdrop…the setting could not have been more romantic and ideal for their wedding photography. Using the front porch and fall color for family photos. The wedding reception with Amanda and Matt cutting their wedding cake. The cake was very yummy! Our best wishes to Amanda and Matt Godsey. 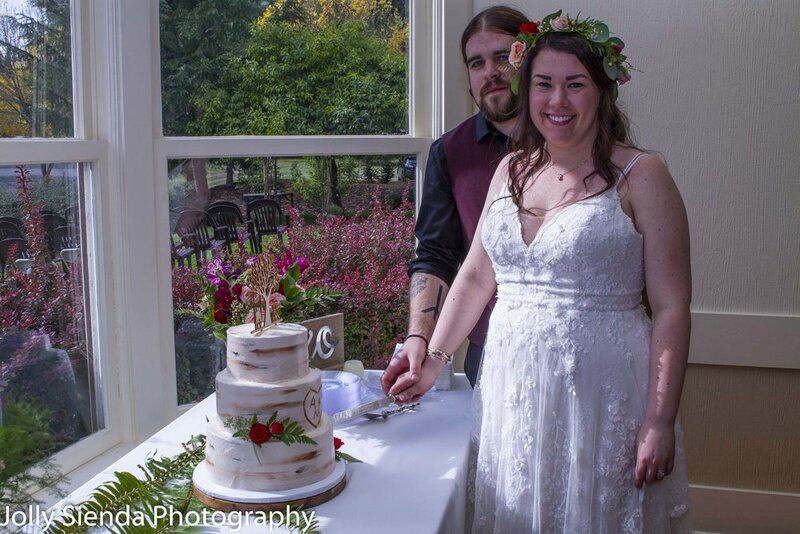 Thank you so much for asking us, Jolly Sienda Photography, to be a part of your celebration! Much love to you both!! !